THE READERS RAG: TALKING ABOUT RANDOM ACTS OF KINDNESS! 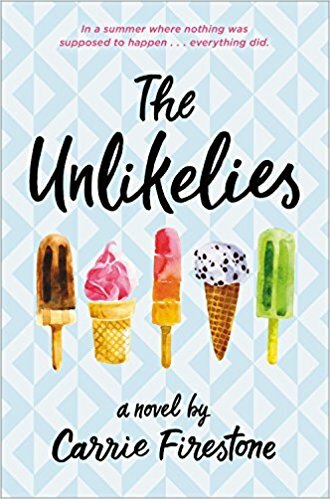 A LOOK AT CARRIE FIRESTONE'S "THE UNLIKELIES"! TALKING ABOUT RANDOM ACTS OF KINDNESS! A LOOK AT CARRIE FIRESTONE'S "THE UNLIKELIES"! When I was growing up, my parents used to tell me the story of how at College they were voted in as having the marriage least likely to succeed. This was because they married immediately after the war. My Dad was a German Jew and my mother, a British citizen, was a kind of wishy washy Church of England. They then immigrated to Canada to avoid the awkwardness. The years went by and, ironically, my parents watched all their friends divorce while they remained married and ended up celebrating their 60th wedding anniversary together. Carrie Firestone's new book, "The Unlikelies" is full of these kinds of expectations, ones that are formulated and broken within a moment's notice. For instance, you would expect a Dad taking care of a precious baby would do all he could to safeguard it! But no, as the heroine of the book, Sadie Sullivan, finds out much to her dismay. This is how a video goes viral of Sadie rescuing a baby from the alcoholic Dad who insists upon driving while under the influence. As a result of her brave actions, Sadie is nominated for a hometown hero award and then finds herself a part of a merry group of do gooders who spend their time trying to make the world a better place. This defies Sadie's prior expectations that she would merely have her summer before senior year full of boring days working at a local farm stand. Thus begins Carrie Firestone's second book "The Unlikelies" published by Little, Brown & Company in June 2017 and, if you don't mind my saying so, very likely one of this summers greatest hits for summer reading this year. For those who are interested, Carrie Firestone was originally a New York City High School teacher. She is also the author of the highly regarded "The Loose-Ends List" which was her debut novel also published by Little, Brown. Ms. Firestone currently lives in Connecticut with her husband and two daughters and is very much involved in doing good herself. Sara Crowe's bio is very simple and states as follows: "Sara is a senior agent at Pippin Properties. She began her career at The Wylie Agency, and worked in foreign rights for 8 years. 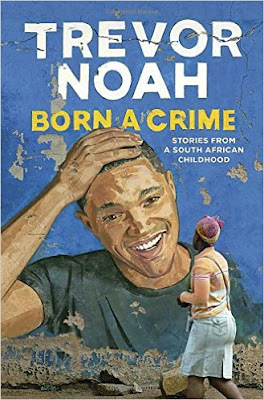 For the last decade she has been at Harvey Klinger, Inc. building a list of children’s and adult fiction including many New York Times Bestselling and award winning authors and titles. She loves finding new talent to champion, and nurturing and developing careers." She appears to have a small, but very select list of clients. Among other outstanding clients, including Carrie Firestone, of course, Sara Crowe represents John Maberry, the author of "Rot & Ruin" and "Patient Zero" books which I consider absolutely fabulous. In addition, she represents David Wells whose cult YA novel, "I Am Not A Serial Killer" has been recently turned into a movie. As with her first book "The Loose-Ends List" which dealt with the profoundly complex issue of end of life decisions, Carrie Firestone's new book "The Unlikelies" takes on the tough problems of cyberbullying as well as our current opioid epidemic. Not only does this little group of do gooders take to cyberspace to defend their peers who have been victims of cyberbullying, they also care anonymous care packages to comfort the victims. For me, I found these anonymous care packages uniquely traditional in their approach. I can recall that the literature of the girl scouts which I read in the 60s always promoted the concept of doing good in secret. In fact, I can remember reading the story of "The Elves and the Shoemaker" in a girl scout handbook. This was a frequently told tale from the Grimm's Fairy Tale collection in which little men helped a poor shoemaker by making his shoes at night while the shoemaker was asleep. In the same way, under cover of darkness, Sadie and her fellow do gooders drop off care packages and thereby fight mean spiritedness anonymously. And while they do so, they choose a variant of the motto from the book "Shan-gri-la". For the latter, the motto was "Be Kind"; for the Unlikelies, the motto is "Choose Kindness". These kinds of good hearted tactics, this business of doing good in secret, is rooted in our American traditions, and also works just as well now. The approach is then brought emphatically into the present with a complete internet campaign where cyberbullies get confronted with the Unlikelies icon and an admonition to do better. Interwoven with this campaign is the story of Izzy whose struggle with opium addiction impacts everyone in the group. At the same time, Sadie finds herself the recipient of resources that will give her the opportunity to do extraordinary good for the people around her. How is she going to deal with that opportunity? In the process of letting go of the old, and embracing the new, as Sadie moves towards adulthood, she finds that she still has many lessons to learn about what it means to be responsible, what it means to be a good friend, and what it means to have true love in your life. Finally, what I find uniquely valuable about "The Unlikelies" and Carrie Firestone herself is that she is fearless in asking the tough questions. As a teacher, I would love to have the opportunity to use her books as the center of a class discussion. What do we owe our friends when we see that they are in trouble? Do we stand to the side when somebody is being bullied or do we intervene? If a friend is struggling with an addiction, what is our responsibility to that friend? Should you give financially when you see a need, or should you hold back and set standards to be sure those resources are used responsibly? Where do you draw the lines? This book leads us to question ourselves, question our values, and question our assumptions about who people are. In asking these kinds of questions, as a reader you find out who you are. Who are you, reader? Kind or unkind? Likely or "unlikely"? Read the book and find out!